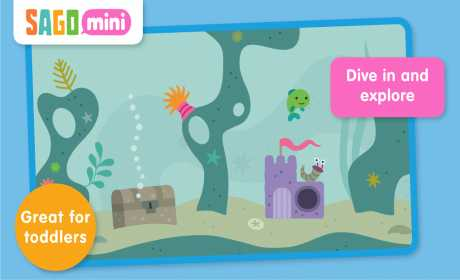 Laugh out loud as you explore a magical underwater world with Fins the fish. Invite Fins out to play and let the adventures begin. Guide Fins through the water and discover dozens of fun surprises. 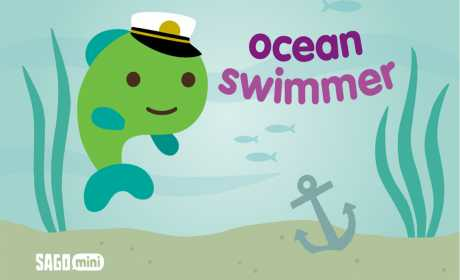 Dive into sunken treasure, meet mysterious monsters and enjoy a treat at an underwater ice cream stand. 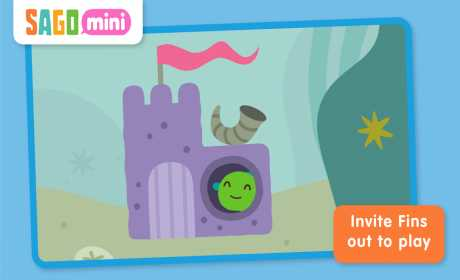 One of the wildly popular Sago Mini explorer apps, this open-ended play experience is sure to delight.